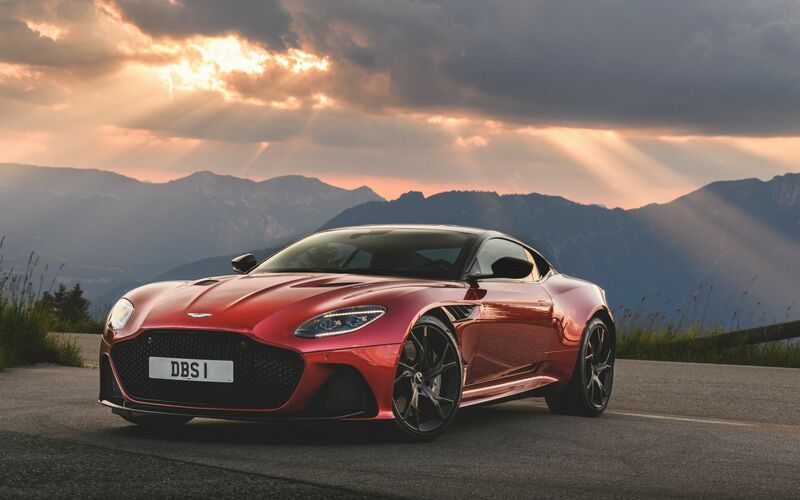 Apart from being a main choice of James Bond, we present you five more reasons why Aston Martin is licensed to thrill - this time around with its supercar, the DBS Superleggera. Appreciation for the DBS Superleggera definitely starts from the moment you set your eyes on the marvellous feat of engineering. The English carmakers injected just the right amount of aggression and athleticism into the exterior to create the stunning work of art. Available in Hyper Red, White Stone or Satin Xenon Grey (which looks a lot like a matte black finish), this vehicle is not for your eyes only as it demands not second looks, but rather commands it; and while the exteriors are appealing enough, wait till you get inside. Cars in general can get slightly confusing - with the many buttons and levers that one has to fiddle around with and get accustomed to. However, even Dr. No would give the design of the award-winning carmaker a nod yes. Apart from being able to personalise the interiors with choices of materials, the smart design cues, like on its front panel, make it easy to understand to figure how operate the intended function; you wouldn't need a manual or to look up online, how to switch gears or increase the AC. Often times, good design serves merely to please the eye and never caters for any other purpose; but never say never again, as Aston Martin beautifully combines both elements in the latest DBS. From its exteriors to interiors, each design element serves more than just to beautify the car. For example, the curlicue and aeroblade, coupled with the F1-inspired double-diffuser, cheats the wind and clamps the car on the road with an amazing 180kg of downforce - without adding drag, while adding to its compelling appeal. While the supercar comes fitted with a Bang & Olufsen sound system that supports Bluetooth and USB playback, the noise from the speakers would definitely not be the only auditory pleasure derived. The beautiful sounds of the 5.2-litre twin-turbo V12 engine would also thrill the living daylights out of anyone - in or outside of the vehicle. From roaring to life when the start button is pushed, to the increased revving purs when you switch up the powertrain from the tame but powerful GT mode, to the Sport then Sport Plus modes. With 715 horsepower and 900Nm of torque, translating to a max speed of 339km/h - and completing the century sprint in just 3.4 seconds, one would naturally be worried about safety. Fret not however, as the supercar comes packed with safety features, including tyre pressure monitoring and more. Plus, the handling responds extremely well; even allowing you to take on curved and uphill roads at high speeds (which we won't recommend, but have tried). Whoever said that you only live twice must have driven the Aston Martin DBS Superleggera, which truly brings your ride to life, fuelled with excitement and exhilaration.